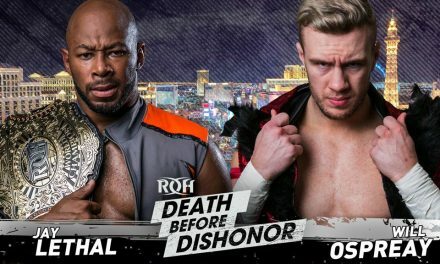 This Week In ROH: Championship Controversy, Women of Honor & More! The biggest news item to come out of ROH last week was that the company would be introducing a Six-Man Tag Team Championship, the first new championship in ROH since the creation of the ROH World TV Title in 2010. The tournament to crown the first-ever champions starts during All-Star Extravaganza VIII Weekend in Lowell, Massachusetts on September 30 & October 1 (PPV & TV Tapings, respectively), continues through the October 29 TV tapings in Baltimore, Maryland, and concludes with the finals taking place at Final Battle 2016 on December 2. 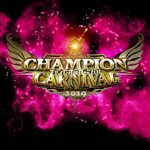 The first three trios to be announced for the tournament include The Bullet Club (though specific members weren’t specified), The Cabinet (The All-Night Express & Caprice Coleman), and the trio of The Addiction & Kamaitachi. There has been a lot said about these titles since the announcement. As someone who likes to get the bad news out of the way first, before getting the good news, I’ll start with the negatives of these new titles, before moving into some positives. Interestingly enough, there were a number of complaints directed towards another new trios title that was created this year. Of course, I’m referring to New Japan’s NEVER Openweight Six-Man Tag Team Titles. 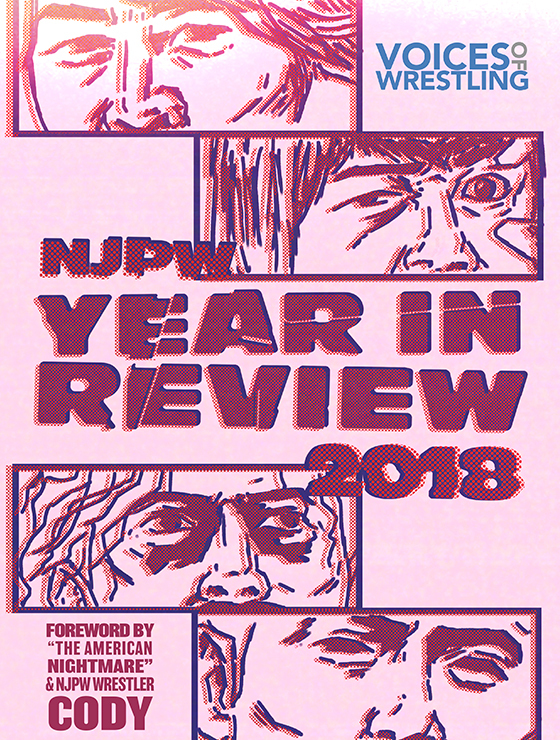 While some (like Wrestling Observer’s Dave Meltzer) have expressed their displeasure of New Japan adding a new title when the promotion already has so many, a number of people (including a number of staff on this very site) were very excited at the prospect of these titles, and thus far, I think they’ve proved to be a success. Not only do they add some importance to some of the “Road To” shows, but New Japan’s pretty sizable roster has allowed for a plethora of teams to claim the titles just in the first eight or nine months of their existence. 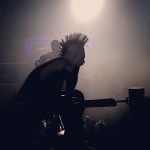 There are so many different combinations of trios that can be put together, and as we’ve seen from the frequency of title changes, we known that any team not consisting of The Bullet Club Hunters has a legitimate shot to win the titles. How does this relate back to the new ROH Six-Man Tag Team Titles? Well, one of the things I immediately thought of when the announcement was made was that ROH, unlike New Japan, doesn’t really have the talent to sustain a title like this. As I said, New Japan has a ton of talent to pick from when it comes to the NEVER Openweight Six-Man Tag Team Titles, but that’s not the case with ROH. 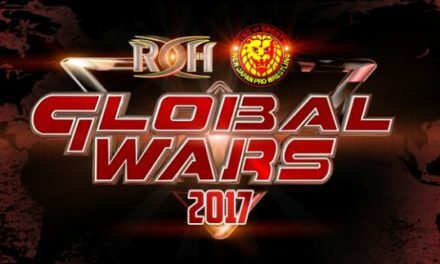 Sure, there are some regular trios, but with ROH’s roster being in the state of flux that it’s in (with lots of rumors about some people leaving at the end of this year or early next year), I’m just not confident that ROH can successfully sustain a division around these titles in the long run, or make them as entertaining as the NEVER Openweight Six-Man Tag Team Titles have been so far. Additionally, it just feels like a pointless title to add to the company, especially when you consider that Adam Cole & The Young Bucks have a good shot (at least, I think so) of winning the NEVER Openweight Six-Man Tag Team Titles from the current title holders (Satoshi Kojima, Matt Sydal & Ricochet) on the upcoming Destruction Tour. Why create these new titles when there’s a strong possibility that The Bullet Club are going to be bringing a trios title back to ROH very soon anyway? Another issue that came to my mind, that relates back to the issue of not having enough bodies for a title like this, was that this really isn’t the right era, or at least doesn’t feel like the right era, for ROH to have Six-Man Tag Team Titles. Something like this, I feel, would have been better suited for the “Faction Warfare” era of ROH in 2007, or even last year, when the roster was more full and you had trios like AJ Styles & The Young Bucks, or The Kingdom. Right now just doesn’t seem like the right time for these titles to come into existence, and generally, I think that these titles would have been a better fit in a different era of ROH history. I do think the titles have some positive elements. It helps put ROH on similar footing with their partners, New Japan & CMLL, who both have Six-Man Tag Team Titles. These new titles can also be seen as an attempt to make multi-man tags (specifically trios matches) more meaningful, which was an issue that New Japan has attempted to solve with the creation of the aforementioned NEVER Openweight Six-Man Tag Team Titles. The majority of ROH PPVs (since they started doing live PPVs in 2014) have featured a Six-Man Tag in some form or fashion, that is usually just put together to get people on the card (a number of them have featured The Young Bucks). Adding these titles can give Six-Man tags, from PPV’s, to TV tapings, to live events, more meaning. People could be more invested if there is something on the line, and these new titles can definitely open up more opportunities (or at least, I hope they will) for guys lower on the card, or guys who aren’t currently fighting for the other three titles. Additionally, if reports are to be believed, the idea for these titles didn’t just come out of nowhere. According to Dave Meltzer (in this week’s Wrestling Observer Newsletter), the idea for these titles go back to last year and the physical title belts were made several months ago. As far as a pick for would could emerge from this tournament as the first-ever ROH Six-Man Tag Team Titles, it’s hard to say. Obviously not all of the teams have been announced yet. One thing I will say, however, is that even if they’re not in this tournament, or even if they’re in it, but don’t win it, Dalton Castle & The Boys definitely need to have run as ROH Six-Man Tag Team Champions. I’ll talk more about ROH TV from last weekend as a whole a little later on, but one thing I took away from that episode is that Dalton Castle & The Boys are OVER. They got the loudest reaction on a show that had The Young Bucks in the main event, and when you’re getting louder reactions than The Young Bucks, you’re doing something right. If they do try to make a division out of these new titles, I think Dalton Castle & The Boys could be a really fun anchor. Obviously I would like to Dalton Castle get opportunities higher up on the card (he already has in the last few months, but I guess in a more sustained manner), but I think him & The Boys could do great things with those titles. While these new ROH Six-Man Tag Team Titles are a little controversial by themselves, the speculation surrounding these new titles, and the actual announcement, seemed to create a completely separate controversy. When Kevin Kelly mentioned in one of his ROH update videos (which I think are a really nice addition in general, by the way) that a new title was coming to ROH, a lot of people (myself included) initially speculated that it could be a Women of Honor Title. Of course, as we all know, that’s not the title that was introduced, and I did hear that there was some displeasure on social media (which, I should note, I actually didn’t see for myself, since I’ve had a lot of things going on since I started my final semester of college). Now, would it be cool to see a Women of Honor Title introduced? Perhaps. If there was ever a time where you could pull the trigger, it would be now, since this recent attempt by ROH to make a Women of Honor Division seems to be the most serious attempt they’ve made yet (with WOH getting their own episode of ROH TV, as well as their own live event). ROH needs better talent for the Women of Honor Division. The Women of Honor need to be presented on ROH TV more regularly. The first point is something that’s been brought up not just by me, but by many others, when it comes to who ROH is using for this Women of Honor Division. If you want to potentially introduce a Women of Honor Title, they need to bring in better women’s wrestlers, because right now, the roster they have just isn’t going to cut it. Now that’s not to say that every one of the regulars in the Women of Honor Division are bad. They have some solid performers here & there, but I think “some” and “here & there” are the key words/phrases there. I believe I mentioned this in my review of the Women of Honor special on ROH TV several months ago, but it just feels like that the main group of talents that ROH is pushing as the “tops stars” of the Women of Honor Division would be nothing more than midcarders in a place like SHIMMER, or even SHINE, and that’s not good. This division needs great women’s wrestlers like Kimber Lee (only used by ROH once), Heidi Lovelace (again, only used by ROH once), Nicole Savoy, LuFisto (if she’s available), and potentially many others. I’m no women’s wrestling expert, but I know enough to see that there are plenty of really great women’s wrestlers out there that ROH just isn’t using. Hell, if you just want to bring attention to the division, bring in Shayna Baszler. To be fair to ROH, it looks like they’re going to be using Candice LeRae more often, but they need more than just her if this division is going to get a title eventually. The other thing that would need to happen before a Women of Honor Title could come into the fold is that these women’s matches need to move off of the YouTube page and onto ROH TV. Personally, I think this one is pretty self-explanatory. Why create a title for a division that’s only showing up on your YouTube channel, and has never really been showcased on ROH TV, save for one special episode? Even though these Women of Honor matches are racking up huge numbers on YouTube (don’t need to go into why, since you could write a whole article on that subject), I doubt the majority of the TV audience is actually watching these Women of Honor matches. I’d be willing to bet that if you’re someone who just watches the TV & PPV’s, you wouldn’t even know that ROH even has a Women of Honor division. The bottom line is that, while some were upset that the new title wasn’t a Women of Honor Title, there are two major obstacles that ROH needs to overcome before they should even consider introducing a Women of Honor Title. They need better performers for the division, and they need to start putting them on TV regularly. Otherwise, there’s no point in creating a title. Besides, even if they did make it a title right now, with the women they have currently, the division would be pretty bad. For this week, I’m going to skip talking about the matches added to the upcoming live events in a few weeks, since it’ll probably be better to talk about the cards in full (as sort of “mini-previews” in this column series) when we’re closer to those shows taking place. 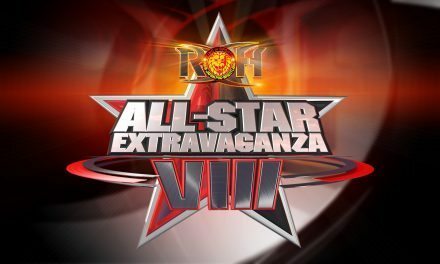 I’ll finish off by touching on two matches for the next PPV, All-Star Extravaganza VIII, that have already been announced (as well as some talents), and before quickly recapping last week’s edition of ROH TV. We now know two of the three title matches that will be taking place at the All-Star Extravaganza VIII PPV on September 30th in Lowell, Massachusetts. Adam Cole (who retained his ROH World Title in a Four-Corner Survival Match at Field of Honor last weekend) will be defending the ROH World Title against current IWGP Intercontinental Champion Michael Elgin (a rematch from the main event of ROH’s first live PPV, Best In The World 2014), while Bobby Fish will be defending the ROH World TV Title against Donovan Dijak. The main event is an interesting one. While it doesn’t make sense when you consider the fact that Kyle O’Reilly stood tall over Adam Cole at the end of Death Before Dishonor XIV, Elgin issued his challenge for the title several days prior to that PPV. I do think the best move is to hold off the eventually Cole/O’Reilly showdown until Final Battle, but since we know that match is coming, it pretty much makes every other title defense by Cole incredibly predictable, and this one against Elgin is no exception. I’m sure it’ll be a great match, but having such a predictable result in the main event of a PPV just seems odd. As far as Bobby Fish vs. Donovan Dijak goes, I think that has the potential to be really good, and honestly, I would put the ROH World TV Title on Dijak here (who is from Massachusetts and will have a HUGE home field advantage in this match). He’s had a series of very good matches on ROH TV over the last few months, and if ROH is serious about pushing him, giving him a big win here over Bobby Fish, and putting the TV Title on him, would be a great move. Speaking of All-Star Extravaganza VIII, an interesting note to make about the show is that, compared to some other ROH PPVs this year, the New Japan presence is going to be significantly smaller than usual. Based on the PPV poster that was released a few days ago, only Tetsuya Naito, KUSHIDA & (for some reason) Toru Yano will be coming over from Japan for this show. 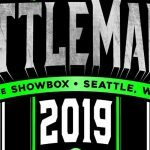 It’ll be very interesting to see how the rest of the card for this next PPV shakes up, with ROH having to rely more on their own talents, as opposed to a ton of major New Japan names. 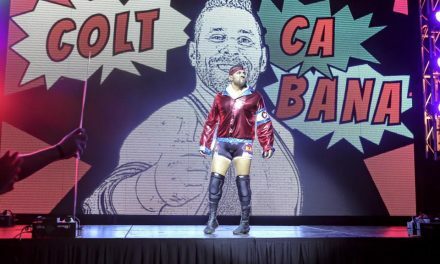 Last week’s edition of ROH TV was a very interesting one, as it was filled with a number of tag team matches. The show kicked off with War Machine taking on Keith Lee & Shane Taylor. They’ve been building up to this match for a few months (the most recent incident saw Keith Lee & Shane Taylor attack War Machine backstage, costing them a chance to compete for the ROH World Tag Team Titles), and now they finally had a match. I thought this was a really fun hoss fight, and I think it was probably the best match on the show. I’ve heard a lot of (generally positive) things about Keith Lee & Shane Taylor, but coming into this match, I was really curious to see how they would do outside of a squash match. I have to say that I came away very impressed. 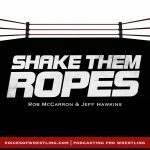 They worked really well here with Hanson & Ray Rowe (Kevin Kelly, by the way, brought up and explained the relationship between Ray Rowe & Shane Taylor on commentary, which added a more personal element to the rivalry). For two guys of their size, they can really move, particularly Keith Lee, who does some crazy things for a guy of his size. This was just an entertaining match from start to finish. If you’re someone who likes seeing two big hoss teams going out there and having a fight, you’ll enjoy this one a lot. Keith Lee & Shane Taylor got a clean victory here over War Machine, which really establishes them in ROH’s tag team division. When this feud is over (I don’t think it’s over quite yet), I’ll be really intrigued to see how Keith Lee & Shane Taylor do against teams like The Young Bucks, reDRagon, and The Motor City Machine Guns. Outside of that opening contest, everything else was sort of a mixed bag. 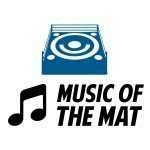 Matt Taven was on commentary this week, and honestly, I enjoyed him here. This seemingly over-the-top heel persona he’s doing has it’s moments (I’m secretly hope that “melvins” becomes more of a thing when he returns to the ring). BJ Whitmer, who has apparently inherited both Kevin Sullivan’s gimmick and Gangrel’s wardrobe, came out for commentary during a Four-Corner Survival Match featuring Cheeseburger, Joey “Diesel” Daddiego, David Starr, & Tim Hughes (how is ROH still booking that guy). 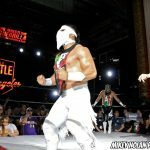 He said some weird gibberish, before he unleashed his new monster, Punisher Martinez (who was in this year’s Top Prospect Tournament) on the participants of the match. I guess that BJ Whitmer & Punisher Martinez are a team now, which should be…..intriguing…..to follow. The Cabinet picked up a victory over Dalton Castle & The Boys (as I alluded to earlier, Dalton Castle & The Boys were the most over people on this show, and it wasn’t even close). Finally, The Addiction retaining the ROH World Tag Team Titles over The Young Bucks in brief, but somewhat entertaining, car crash of the main event, which saw tables, ladders, & chairs used, as well as interference from Kamaitachi & The Motor City Machine. It certainly seems like that we may be getting Ladder War VI very soon.